B.Ward Urban Legend: A Scary Tale, or a Tall Truth? A Scary Tale, or a Tall Truth? Slenderman, an inhuman mystical creature; he is described as a very tall and skinny man in a dark black suit with a completely white face, he is missing features such as eyes, nose, mouth, ears and hair. Although the story of slenderman is relatively new to modern media, it has started to quickly rise in awareness and popularity. 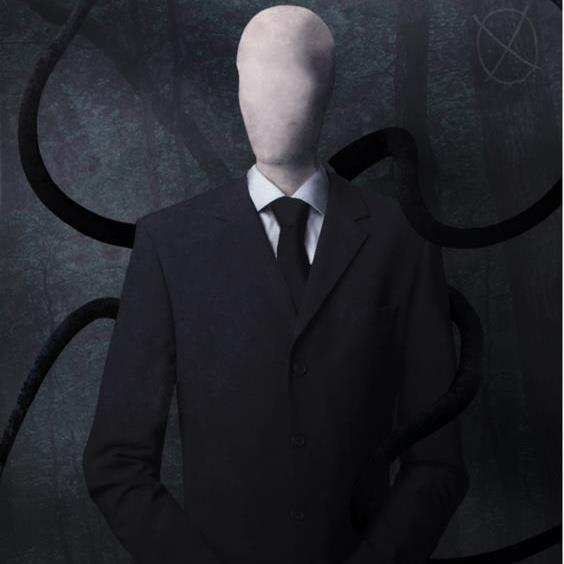 Articles, pictures, videos, and forum posts about Slenderman have started to soar in numbers during the past few years. The story is that slenderman has the ability to stretch his limbs and body to preposterous lengths, and he kidnaps predominately children for reasons unknown. He hides in the mist and also wooded areas awaiting his prey to wander by, while some say he stalks his targets. There have been many claims to sightings, some accompanied by photographs, or that a few people are being stalked by him most their lives. Those who have claims to seeing him have disappeared all together. While the legend of Slenderman seems highly unlikely to be a tale of truth, and some of it can be passed off as paranoia, it has sparked my curiosity, although I have my doubts on the topic, it is still very frightful if true and requires further investigation.